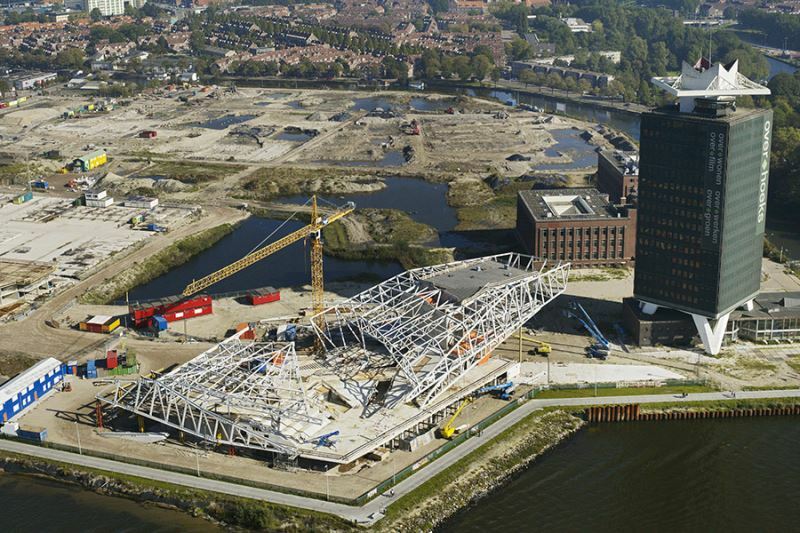 This sculpture-like building can already be seen from Amsterdam Central Station. 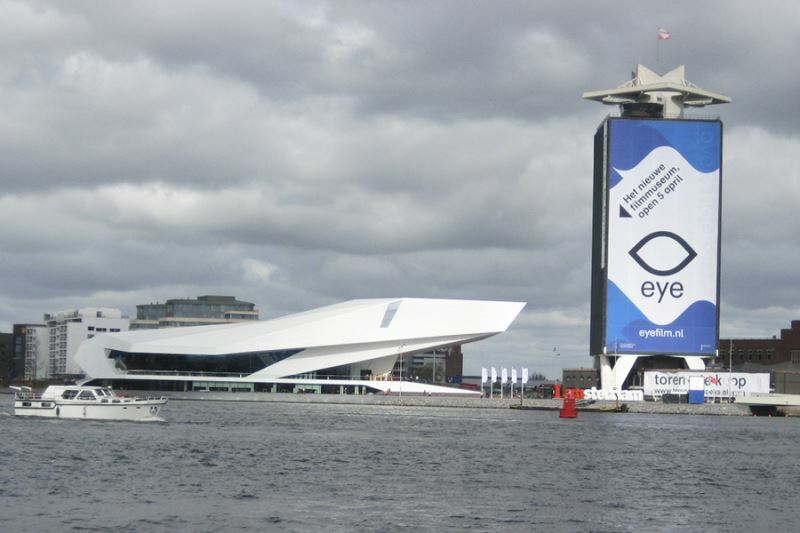 The new EYE Film Institute will provide Amsterdam North with a new boost to becoming a hip recreational, residential and business zone. Architectonic ambition, high-quality construction and technical solutions combine in this remarkable building. The design by the Austrian architectural practice Delugan Meissl Associated Architects is spectacular with its large overhangs. 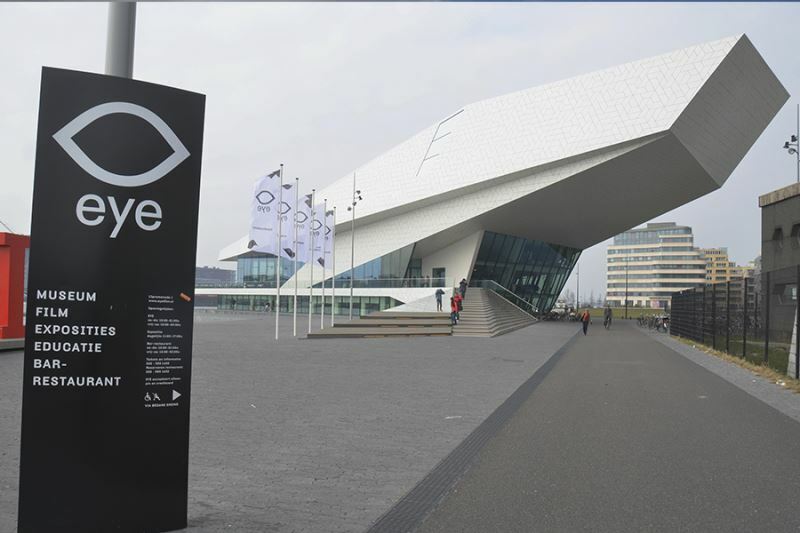 The shape was established early on in the design process and was practically sacrosanct. The view from the central public area should, for example, be obstructed by structural elements as little as possible. In the end, just five inclined columns were put in place. The rest of the structure has been 'concealed' within closed façade panels. This was not an easy solution, because these panels make contact with the ground at only a few places. A hybrid structure was used for this building. 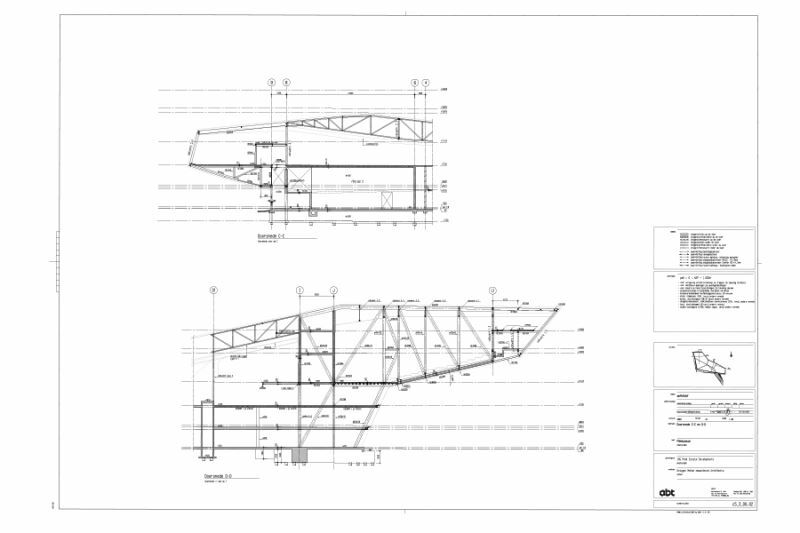 This allows the building to meet the aim of a light building erected without supports. In addition, the building complies with stringent acoustic requirements. Steel usage of 110 kg/m2 of floor surface is relatively low for a building of this complexity and volume. Most of the steel is consumed by the truss girders. The largest truss girders are more than 70 metres long and 10 metres high.